Ahhhh….breathtaking triumph. Well, that made me think of the Chihuly Glass Garden in Seattle. While we’ve lived in the area for years, we visited the garden for the first time last year. 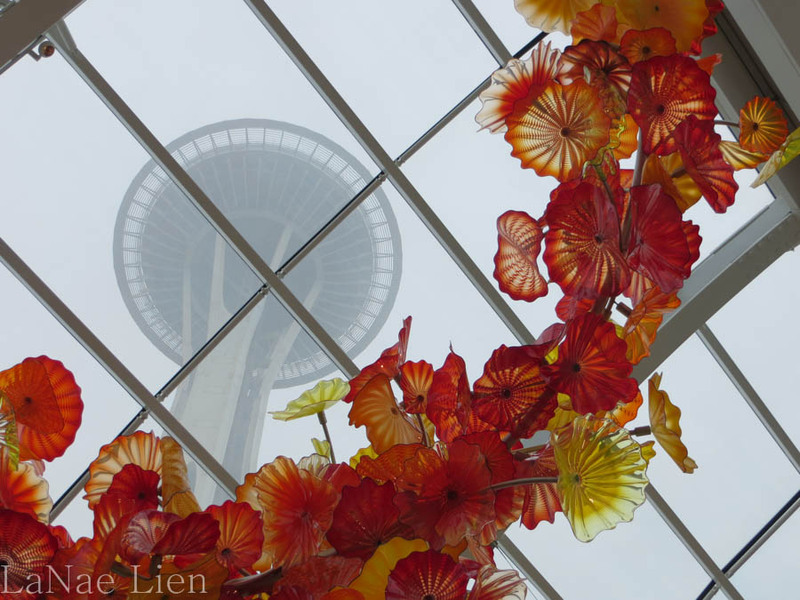 Dale Chihuly definitely pulls no stops, and his work? A breathtaking triumph. Gorgeous shot. I have yet to visit the Garden, though I have sent guests there. Some day, one day. Thank you. Great choice, even greater captures and I love the colors, the shapes…wow! I have watched several glass artisans, doing what seems like magic to me, and I know the effort and work it took to make these works of Art. Thanks for sharing! Thank you! It is amazing what people can do with glass.